Joining Wordless Wednesdays at Faith, Hope & a whole lotta Love and My Little Drummer Boys. That smile would melt a thousand hearts <3. Utterly! Gorgeous bee! And I love the orange effect you've got going here. Happy WW! 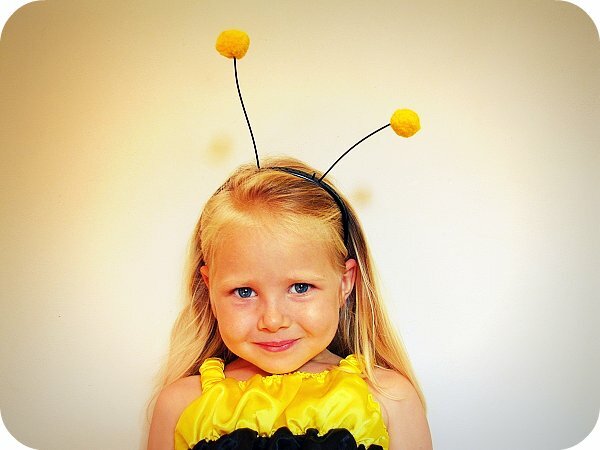 Cutest bee ever!! That smile is sweet. 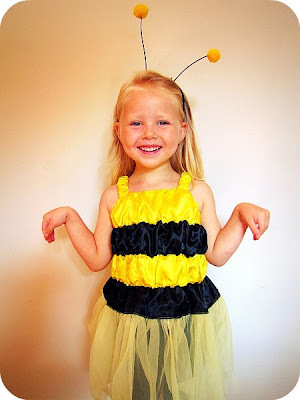 I totally love that bee costume! Awww too cute! I notice one of her antennae is a little bent ... I'm hoping my Kendyl didn't do that yesterday.... (gulp)..??? 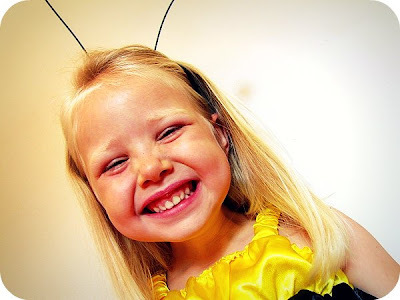 She has the cutest smile and of course I can't resist beeutiful ! Happy WW and thanks for linking up. yellow is this childs colour!! Oh she is the cutest thing! !